One year and four months. I have been to this city numerous times before. A city, I used to come only to visit during my summer or winter vacations, turned into my home almost a year back. More than a year back. I always wanted to live here, the city used to reach out to me without any reason. It became a magnet and I was the metal in this journey. Almost a year back, I didn’t have any friends. The few people I knew were from the social media circuit. Not that there were friends, but yes I used to know. School, college friends were too far engrossed in their lives and I was too much in my dream world to be in touch with them. Life became hectic for me to take notice of what is happening around. I came to Bombay (no harm to anyone’s feelings but I prefer calling Mumbai as Bombay) because I wanted to be a journalist. Life got busy, I got engrossed in work. And I forgot why of all the cities I came to Bombay. 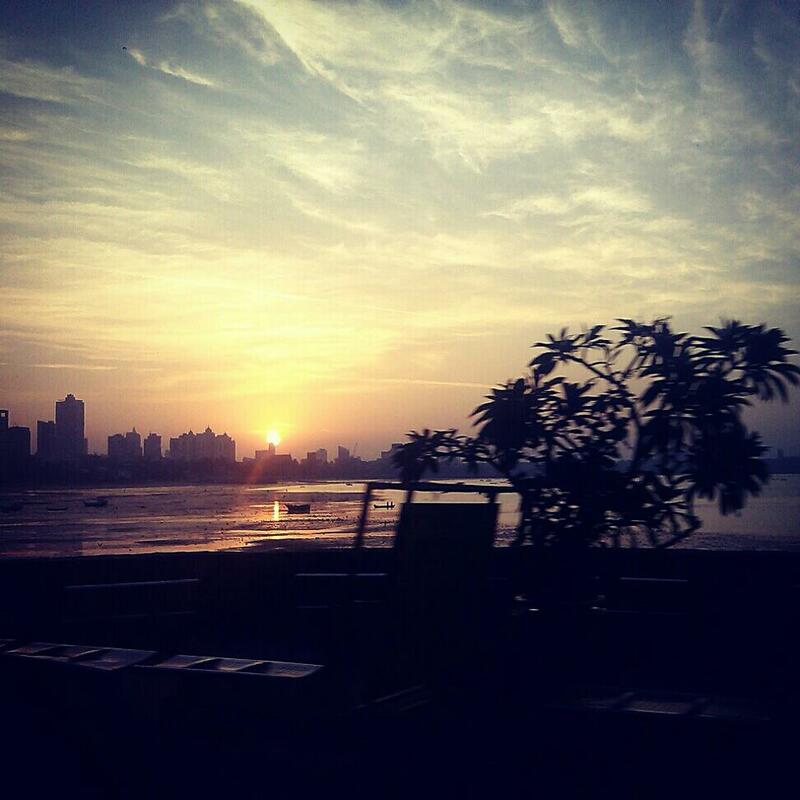 It was always in the back of my mind that if ever there was a place in this world where I wanted to be it is Bombay. I loved the city, the rains, the small hills and I fell in love with the sea – the lifeline of the city (not really the trains). Met some quite intriguing people, started loving the front seat and forgot my moments dreaming seating in the back seat. Every day when I used to return home, my favourite part used to be sitting in the balcony, staring at the hills far away, listening to the mad sound created by the uncomplaining, unending cars passing by, the aimless focused people on the road. And I was happy. If Bombay was a guy, I would have married him. But the question was would Bombay have married me? What is it about the city that made me fall in love with it? The traffic? The people? The history? The sea? The hills? Or was it my mind? Maybe it is the crazy rains, or maybe it is the city, which lets you be what you want to be. Bombay is one such city that takes you in his arms and gives you unconditional love. It is rough, trust me. There are days when you just feel like running away from the mad crowd of Bombay. But what happens next is that you burst out loud and Bombay listens to you, makes you believe you are not alone. Life is crazy but what is life without a little bit of drama. There are days when you get scared in Bombay but you love the city so much that you just don’t want to leave it and go away. It is like Hotel California – You can check out any time you like but you can never leave. Photo Courtesy - Arundhati Chatterjee. Just go out, take a bike ride, travel all over the city and you will realize all of a sudden that you are smiling. A silent smile. Bombay is like a guy who will stare straight into your eyes and will know that you are smiling silently but won’t do anything about it. Because Bombay lets you be what you are and Bombay loves you exactly the way you are. It is harsh. It will push you to a corner. It will make you cry till you say – Why me? But you know why Bombay makes you do all that? Because it is those moments which brings the best out of you and Bombay wants you to be the best. It is the dream city. It lets you dream big and if you follow the unknown path that Bombay has designed for you, you will achieve it. I was a complaining, lost and tired soul. Then suddenly Bombay calmed me down. I met some really nice people. Someone taught me to stop complaining, some taught me to stop saying “I don’t” and some taught me to live my life. It is the people you meet in Bombay, which makes your life full. Where I used to live before, I had everything with me yet I was alone. And here I don’t have anything; I am craving to have more, yet I am satisfied. Bombay gives you a wonderful satisfaction. Bombay presents you things that you love, which you desired of but somewhere it also teaches you that you don’t really want those things to live happily ever after. All you want from Bombay is to let those things be the way they are, no more no less. For some, they might say it is the same with every city. But that is not the case. It is only in Bombay that you can sit all alone, silently at any hour of the day and people will just not bother you. Am sure if in any other city, you stopped breathing, you will run away and go and stay in some other place where you can breathe. But people don’t stop breathing even if Bombay creates a vacuum around you; you just simply learn to live in that vacuum, only to find the beauty in staying in that vacuum. But honestly, Bombay loves its people so much that it never leaves you void. I love Bombay because it is the only place in the world where I wait patiently for the monsoon, monsoons which really tests your patience. For in Bombay only you will get to meet strangers in the train, fight with them and make them your friends. For in Bombay’s mad traffic only you learn to dream and live big. For Bombay is the place which gave me Norah Jones, Sachin Tendulkar, and some amazing friends. 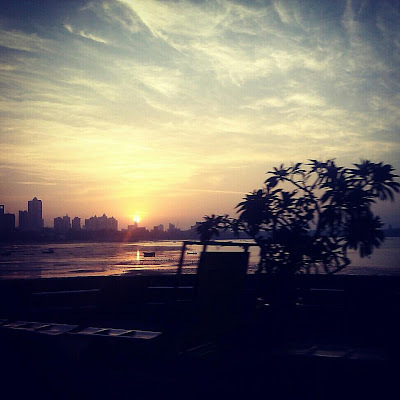 Bombay makes you live life freely and independently. Hey really nice.Even i feel the same.Every time ithink about changing my job and changing the city i m held back coz of the city which has lots to offer.Good read. there's magic in that city, i tell you, there's something about it! haha. you are making me miss my home. but it's been my city for too long, I needed to go out and explore.